The custom machine highlighted here was designed, engineered, and fabricated as a hand bender for a manufacturer of motorcycles. At Excel Machine & Tool, Inc. we understand that automated systems are not always the most cost effective solution. 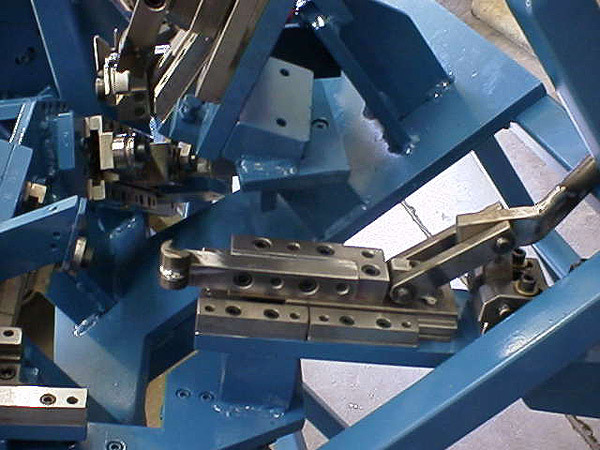 This customer was forming tube assemblies in low volume, which made a manual option the most viable. The fixture we engineered featured simple operation, and was fabricated with robust features. 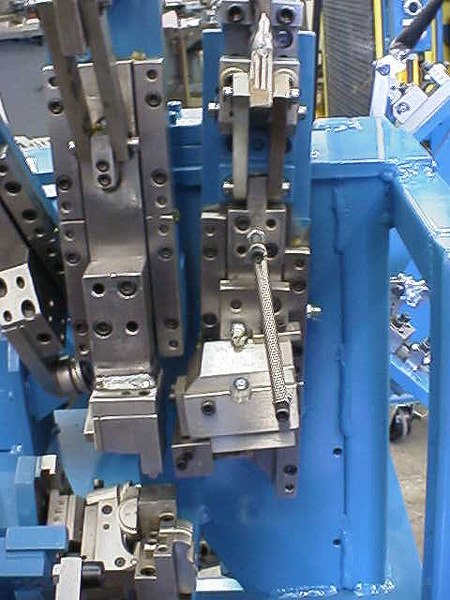 To form the part, the straight tube assembly is clamped into the fixture, the operator then manually rotates the tooling in a specified sequence, bending the tube in 9 different locations. The hand bender consisted of a fixture stand that was fabricated from 2″ x 2″ angle iron, and a hot rolled steel base, and precision tooling that could accommodate the 3/16″ O.D. tubing. The tooling was machined from heat treated 1018 and hot rolled steel, as well as A2, and S7 tool steel. Many components were primed and painted, and everything was fully inspected for dimensional accuracy. We completed the entire project in just 5 weeks.